alarms for both local card and remote unit can all be displayed. Configuration is also available to enable or disable the port, reset the port, do far end fault setting, and initiate local or far end loop-back tests. 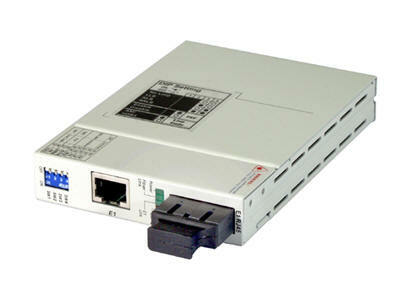 When set for E1 mode, the AFRM3010-E1/T1 also supports unframed (unstructured) E1 when connected to a remote AFRM301-Data, synchronous data communications converter at 2048Kbps. Optical Interface : Cable type : MM 62.2/125ìm, 50/125ìm.